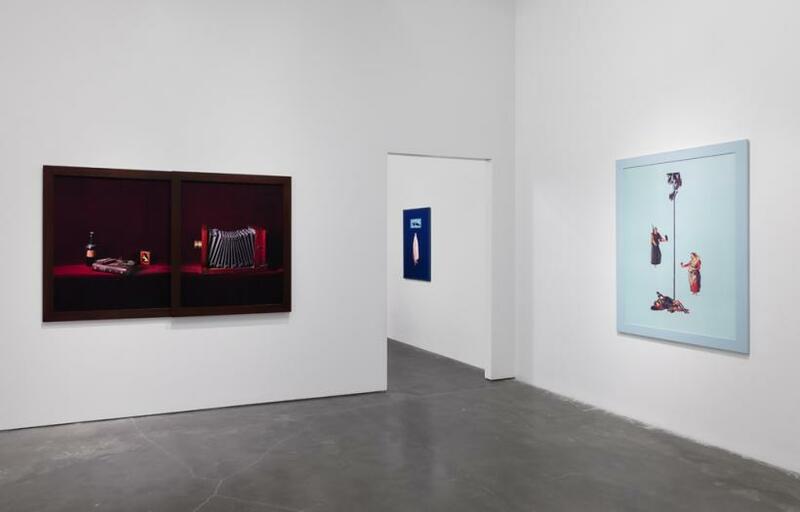 Sarah Charlesworth passed away only months before the opening of the Whitney Biennial in 2014. A simple, elegant duo-tone photograph of hers was a welcomed sight among the tangled mass of mediocrity surrounding it. I overheard many observers say that she was vastly under-appreciated during her lifetime (should this be a surprise that, even now, deceased or aging women in the arts are largely ignored by their male peers?) Even as she was one of the co-founders of BOMB Magazine (and produced its first cover image), even as she was a three-time grant recipient from the National Endowment for the Arts and a John Simon Guggenheim Fellowship Award in 1995, and even though she presented a solo exhibition of her work for every calendar year between 1977 and 2015 (two have been posthumous), Charlesworth arguably never received her fair share of glory. 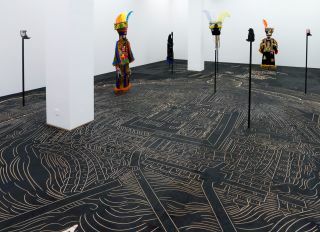 Her solo exhibition ‘Doubleworld’ at The New Museum is, undoubtedly, a triumphant one worthy of her. 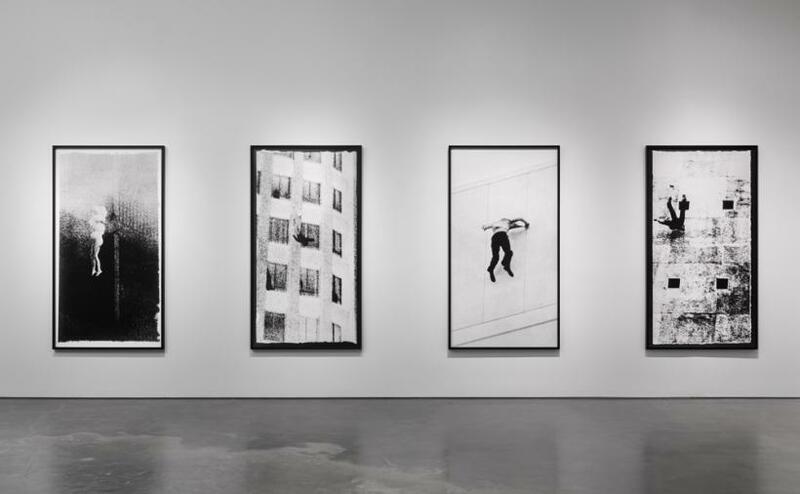 Charlesworth’s photographs occupy the second floor of the museum, with the freight elevator opening up to an array of plus-life-size verticals in black and white, which embrace the first room. In each image, a person falls. ‘Stills’ (1980) were reproduced from newspaper and/or tabloid imagery, documenting a man or woman in the process of plummeting downwards from a high structure. 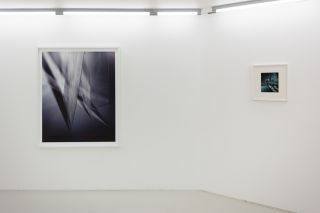 Whether the fall is intentional or accidental is never explicitly revealed (upon further research, some of the named subjects in the photos survived by being caught safely at the bottom by local authorities). Their faces are not visible, they are captured in daylight, and at times, they appear to be standing in mid-air. 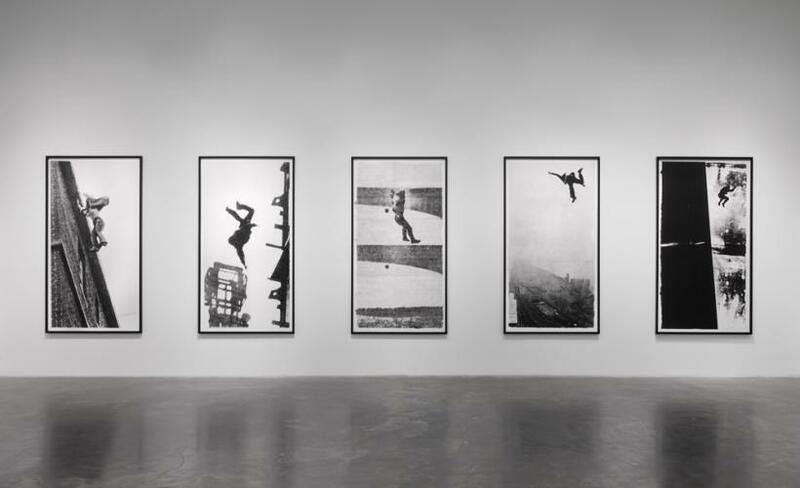 Charlesworth eliminates the circumstances of these actions without erasing their potency: by enlarging the images to be taller than her viewers, the mere act of falling becomes daunting, immediate, dramatic, and almost cathartic. We purge our fear of death by seeing others experience it for us. But for Charlesworth, it is likely that the technical qualities of the image itself (composition, light, contrast, line, and clarity) were more immediate concerns than its content. 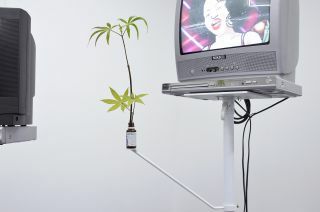 A viewer may extract a multitude of possibilities from these works: dread, awe, trauma, or even familiarity. At no point, however, does Charlesworth actively push the process. She simply lights the fuse, and the burn is deliciously slow. 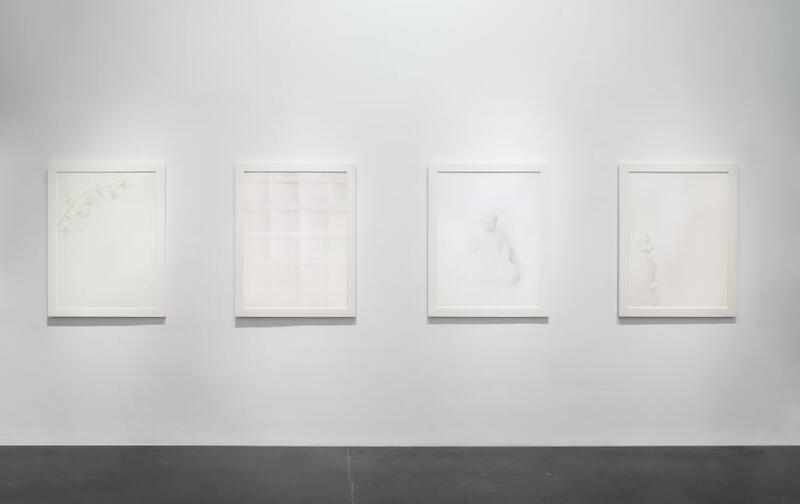 One of the most illuminating examples of anti-conventional Conceptualism is a set of photographs known as “Figure Drawings”. 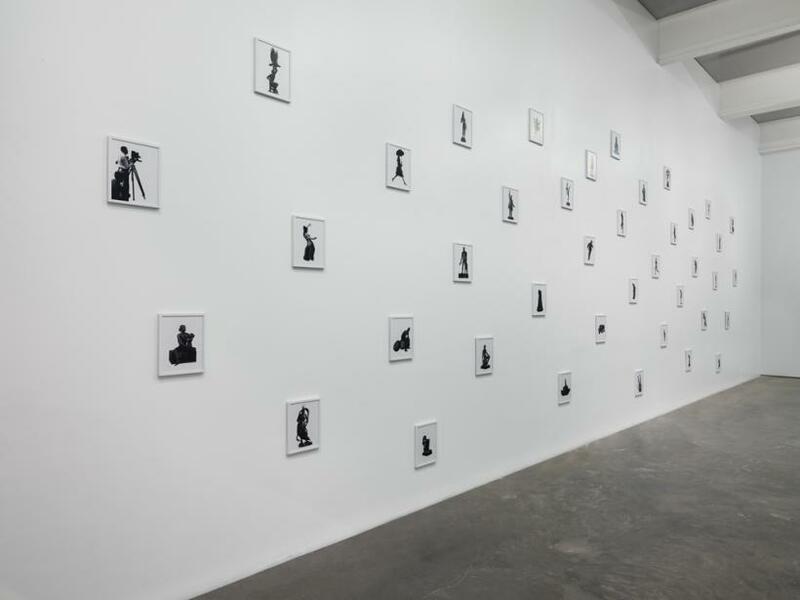 40 prints measuring 9.5 inches by 12 inches each, a black-and-white image against a pure white ground: the works are arranged according to the variant cultural hierarchies, with gods and kings hung above warriors and politicians, hovering over laymen, and on the lowest level are women and figures commonly perceived as “invalid” or “invisible”. 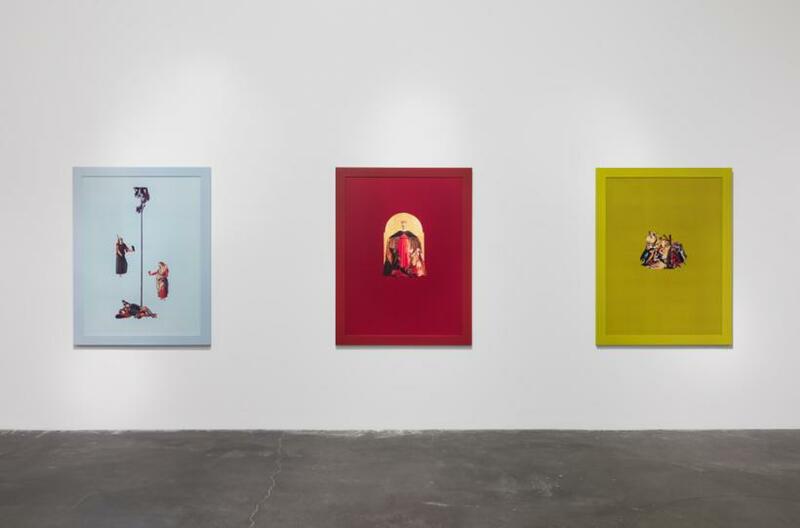 Yet, laid bare without embellishment or text to justify their position, Charlesworth’s images ask significant questions regarding power structures and, ultimately, the value of deities constructed by the human imagination. The Hindu god Shiva crowns the arrangement, with a gypsy belly dancer (I’m inclined to believe its an image of Lisa Guiraut, known as “Leila”, who seduced James Bond in the 1963 film From Russia With Love) near the bottom rung. A shinobi warrior (commonly known as a “ninja”) sits high above one of the falling figures from the Stills series. Somehow, Shiva looks like little more than a decorative amulet, the man in free-fall floats easily, the warrior is muted and inactive, and the belly dancer takes a High Mannerist figura serpentinata form. Charlesworth easily shifts and mutates gender, identity, and cultural roles within a formation resembling the typical, patriarchal family tree. 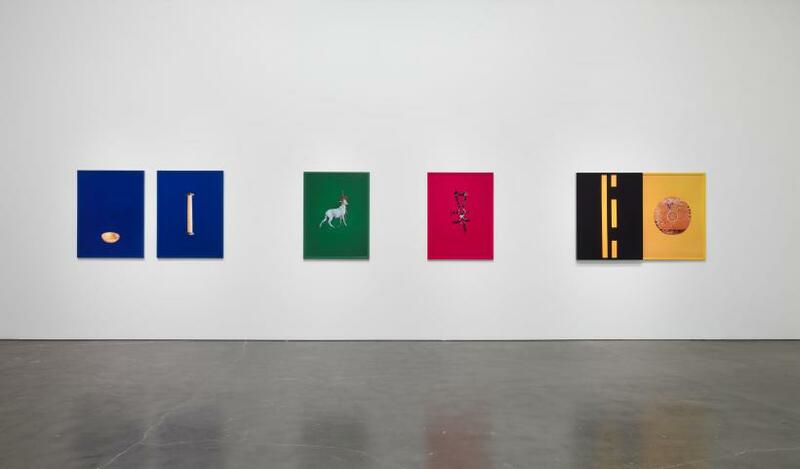 The two-paneled work ‘Doubleworld’ reflects the seemingly infinite duplications of meaning, memory, and sign-signifier psychology. In two identical photographs, Charlesworth erects a darkened stage, where a stereoscope (with binocular vision) peers at a doubled image of identical twin women. 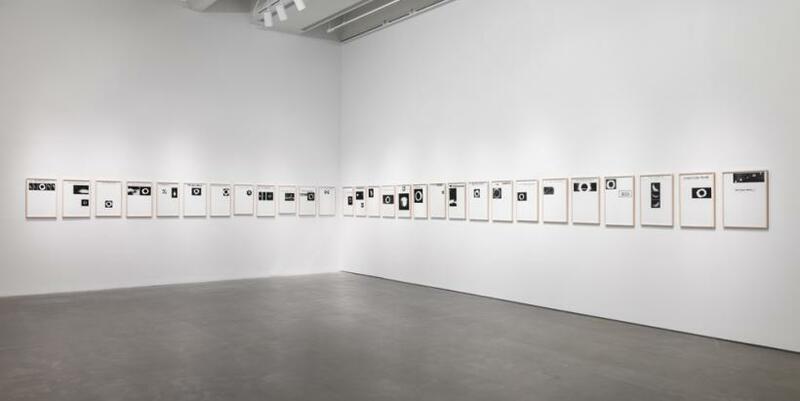 The exhibition’s title is more than apt; it invites independent contemplation, even without having even seen one work from her oeuvre. How many times can you regard the same thing over and over, and still feel and think the same thing? There is inherent treachery in images, and Charlesworth drives the dagger home with her titular work. 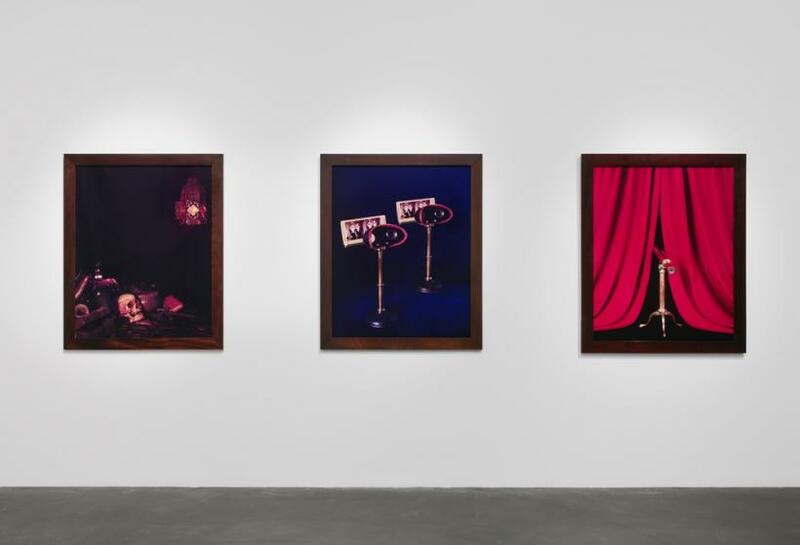 More than any particular series in the show, however, Charlesworth’s practice as a whole communicates an interest in image appropriation and context while still retaining a relatively conventional production methodology. 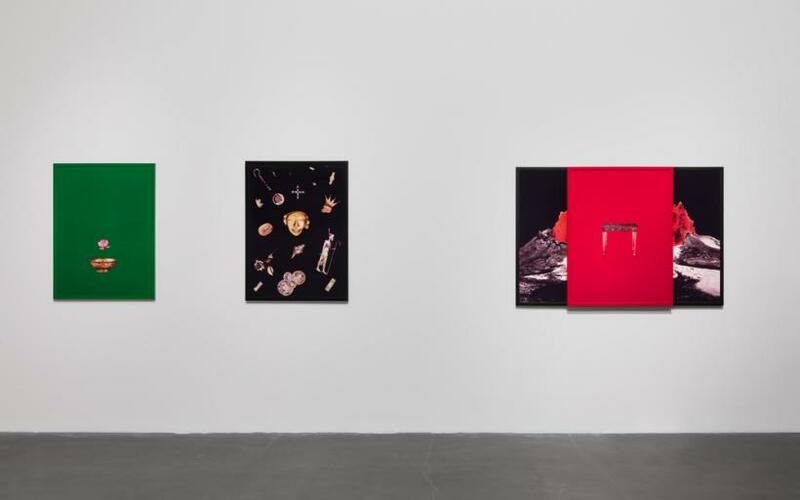 Like her peers Richard Prince, Sherrie Levine, Cindy Sherman, and Barbara Kruger, Charlesworth utilises the photograph as the primary vehicle for delivering information, versus an accompanying text. 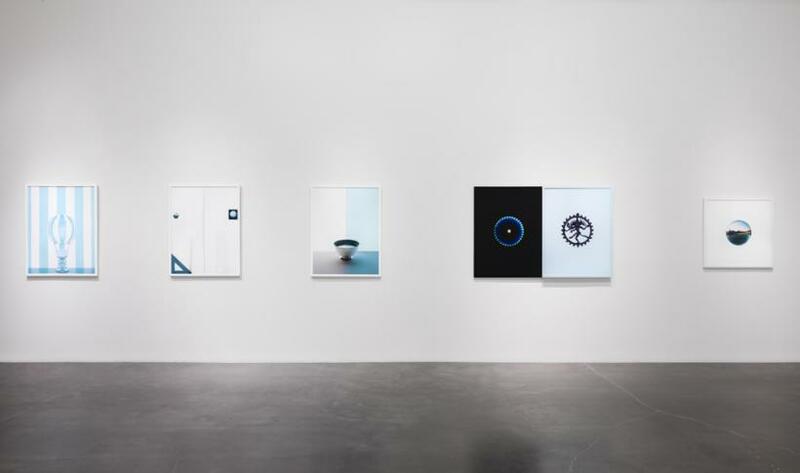 But in a storm of anger and rebellion against established modes of corporate advertising and Hollywood stereotypes, Charlesworth’s crisp, radiant works are like moments of calm. She needs no fanfare, no apologies, and certainly no comparisons.